Hydroxyelite By Hi-Tech Pharmaceuticals, Sample Packet at SameDaySupplements.com® for lowest price. Hydroxyelite contains the same fat burning formula as its predecessor; Oxyelite Pro(without DMAA), with Garcinia Cambodia Extract added to further enhance its fat burning properties. Samedaysupplements is the place to buy Hi Tech Pharma HydroxyElite supplements online with the best prices and customer service on the web. 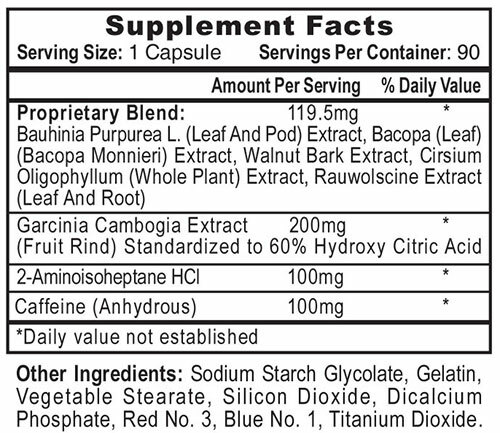 Garcinia Cambogia extract contains HCA which inhibits fatty acid synthesis in the body. This ingredient was included in Hydroxyelite’s formula to further maximize weightloss results. Hydroxyelite is an improved version of Oxyelite Pro! Take 1-2 capsules of HydroxyElite in the morning and 1 capsule of HydroxyElite after lunch. Do not exceed 4 capsules of HydroxyElite daily. We have a large selection of in-stock Hi-Tech Pharmaceuticals products including Supplement Samples items and others for the lowest prices at SameDaySupplements.com® It's always easy to shop for Hydroxyelite By Hi-Tech Pharmaceuticals, Sample Packet at SameDaySupplements.com® because you can browse by reviews, brand, prices or search for specific ingredients using our search tool. In-stock orders placed before 3pm EST ship out the same day to USA, Brazil, United Kingdom, Canada, Germany, Australia, Japan, India, France and worldwide at the cheapest prices online.